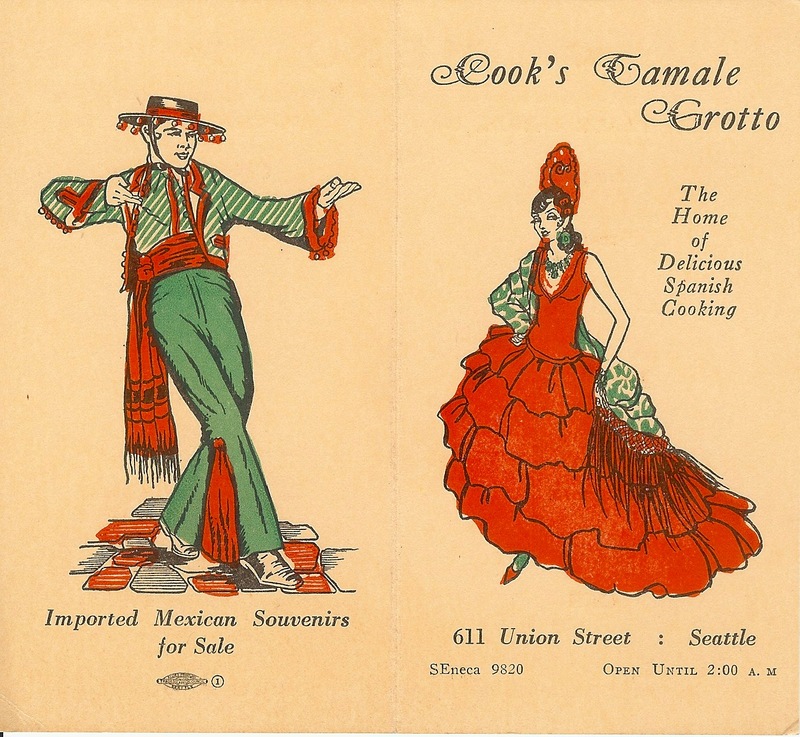 C. R. Cook came to Seattle about 1919, and with his wife Genevieve he soon opened Cook’s Tamale Grotto. Mr. Cook was born in Missiouri, and learned to cook in a chili parlor; later he traveled to Mexico. 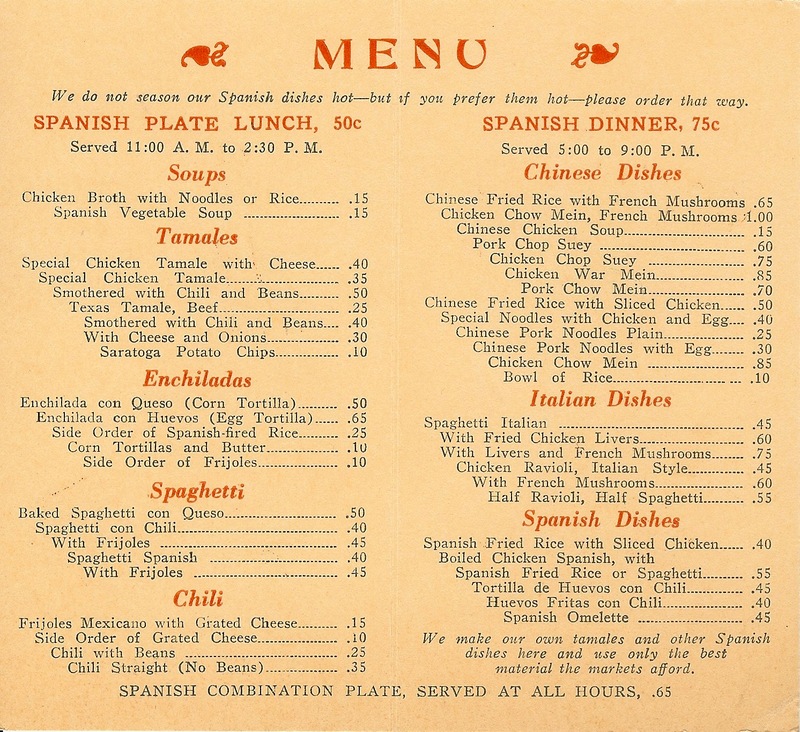 In the 1920s and 1930s his Seattle enterprise was a popular downtown lunch and dinner spot, with a menu that cheerfully ascribed Spanish, Mexican, Italian, Chinese, and even French, Texan, and Aztec attributes to its dishes. Fusion dining has deep roots. SAUCE: 1 can tomatoes with puree, 1 pint water or broth, 1 chopped green pepper, 2 cloves garlic, 1 teaspoon chili powder, 4 whole cloves, 1 bay leaf, salt and pepper to taste. Serve meat balls on large platter with spaghetti or noodles in center and sprinkle with grated Italian cheese. Spokane, too, had its tamales. 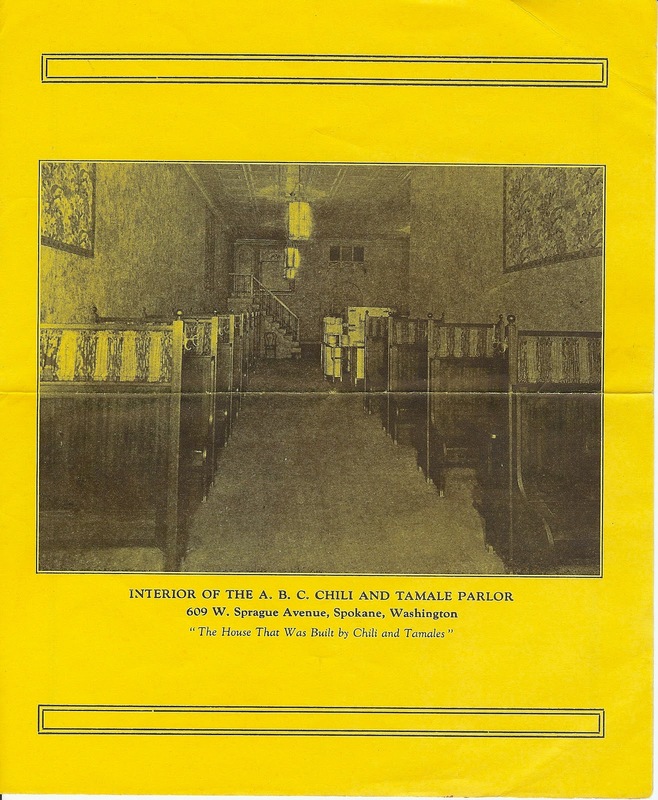 This menu is from the 1930s; the proprietors of the A. 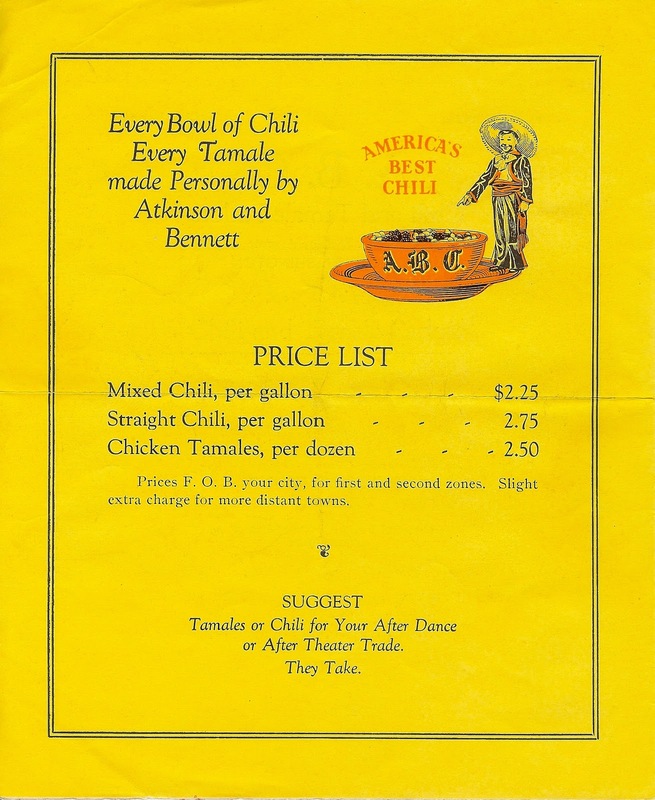 B. C. Chili and Tamale Parlors were H. R. Atkinson and Clay Bennett. Ephemera from author’s collection. Original of 1935 “Cosmopolitan Seattle” at Special Collections, University of Washington Libraries.